Attention-deficit/hyperactivity disorder, or ADHD is a brain disorder that affects around 6% of American adults. This disorder causes inattentiveness, hyperactivity, and impulsiveness. 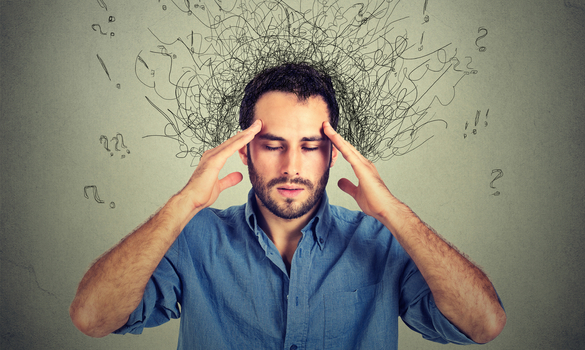 These symptoms often make it hard for ADHD suffers to work in offices. They struggle to remember deadlines. They can be frequently distracted by office conditions. They might even fail to keep normal office hours. As HR head for your company, you might even accidentally label an ADHD employee as “lazy” or “disorganized.” Despite this, ADHD employees can be talented and invaluable parts of your company’s team. You only need to handle such employees the right way to get the best out of them. Read on to learn 5 strategies for dealing with ADHD in the workplace. ADHD sufferers are more easily distracted than other employees. To keep them on task, you should create a distraction free environment. Otherwise, you could end up creating a hostile work environment for everyone. One simple solution is to limit cell phone use in certain parts of your office. Even the smallest distractions like the sound of a phone vibrating can interrupt an ADHD employee’s train of thought. You can also issue earplugs or headsets to keep them on track. In extreme cases, ADHD employees may need private offices or must work from home to avoid distractions in the office. Talk with ADHD employees about what might distract them in your office, and what they need to avoid it. When setting up projects and deadlines, ADHD employees will need more structure then other employees. Try cutting up projects in into smaller deadlines and steps. After giving verbal instructions, you should email the instructions again to the employee. In the middle of the project, remember to offer reminders and to check up more often then other employees. ADHD employees respond better in structured environments and struggle when left to monitor themselves. Providing that structure will ensure your ADHD employees can focus on their work instead of the schedule. When devising projects, avoid putting ADHD employees into large teams. Many ADHD sufferers are often very sociable, they struggle to stay on task. They also may be less aware of social custom or other employees’ feelings. As a result, ADHD employees do better work alone as individual contributors. When you need them to work with a team, connect your team so they are a small and effective group. Additionally, surround them with sympathetic employees who will help keep them on task. Team work requires internal management that many ADHD people lack. Do not put them in a position to fail. You can improve ADHD employee’s attention by breaking up the day with regular breaks. According to Dr. Dawn owner of ADHD Wellness Center, “ADHD affects a person’s ability to pay attention, sit still, or control their impulses”. Therefore, encourage employees to use these breaks to get exercise. It is hard for ADHD employees to sit an entire business day. The longer they work, the greater the chance they will get distracted. Additionally, these breaks will subdivide the day into manageable chunks. It is much easier for an ADHD employee to time manage a period of a few hours, then a whole day. Giving these employees more breaks in the day will keep the them more on track the rest of the time. For many ADHD employees, working a standard business work day is not possible. Early mornings can be hard for them, since ADHD makes it hard to sleep. ADHD also causes anxiety that can make traveling in rush hour difficult. Offering ADHD employees a more flexible schedule can improve their productivity and outlook. Talk to them about when they work best and schedule their day around those periods. This management style allows employees to have flexibility so they are not late or unreliable. ADHD sufferers cannot always adapt to changing circumstances. Give them the flexibility to do their jobs at their best. ADHD has been held as a stigma for a long time. However, ADHD employees can be a great asset to your company. To access this asset, consider these strategies to help you ADHD employees. Provide them with a distraction free environment to work in. Provide ADHD employees with more structured projects to keep them on track. Avoid putting ADHD employees on teams, where their lack of focus will be a hindrance. Break up the day with regular breaks to deal with their hyperactivity. Offer ADHD employees scheduling that is flexible enough to cope with their anxiety. These strategies will ensure the ADHD employees have all the opportunities that your other employees have to succeed.